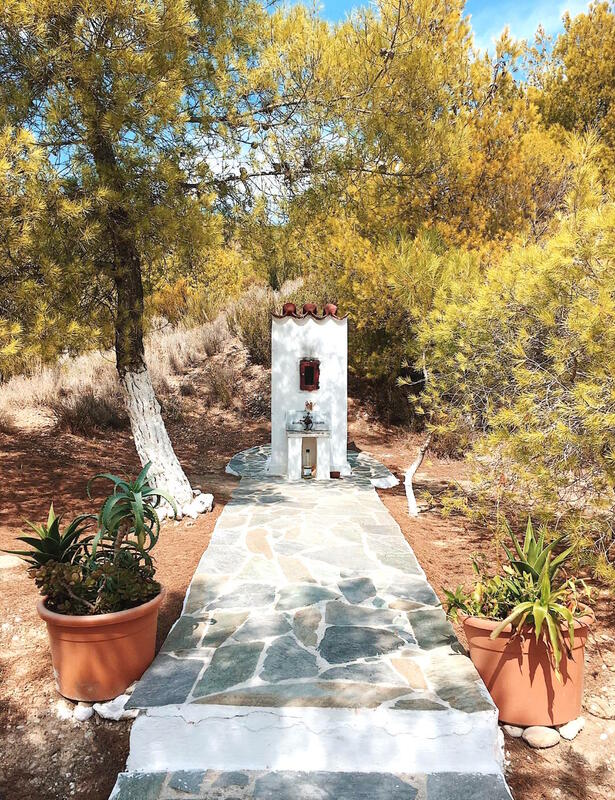 After a week wandering around Hydra – and then nearby Spetses – I ended up with quite a collection of pictures of these miniature roadside shrines I kept seeing. Each one was set at the side of the road, usually in a remote spot, but were nevertheless well looked after, each with a fresh candle burning inside. At first I assumed they were miniature chapels, set at the roadside for travellers to stop at and say a little prayer on their journey. However, a couple of locals set me straight and told me that they’re actually little shrines built to remember loved ones lost in road accidents or – more surprisingly – by survivors to thank the saints at the location of their incident.